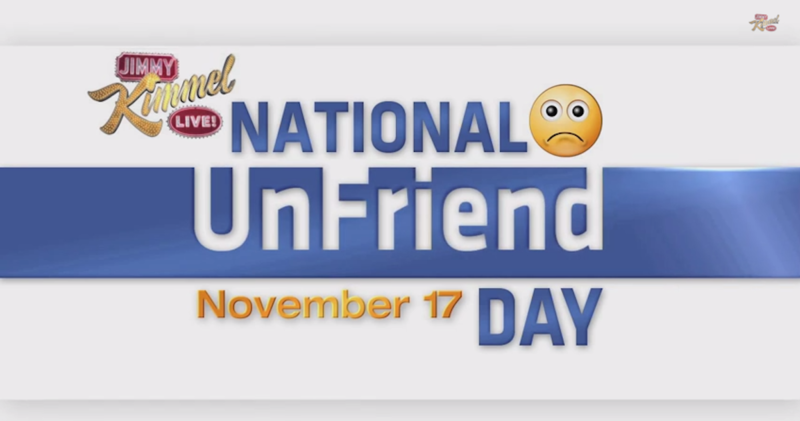 Every November 17th we celebrate National Unfriend Day. This day is the creation of American television station Jimmy Kimmel, who launched the first idea in 2010 as a day when social media users remember the true sense of friendship, eliminating those in the social media that they did not like, they considered real friends. In addition to focusing on true friendship, Kimmel and social media users have since given a serious list of the reasons for the crimes that would justify an unfriend.